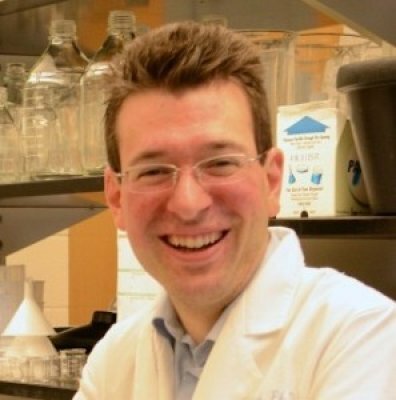 Dr. Frohlich studied electrical engineering at Imperial College in London and the Swiss Federal Institute of Technology in Zurich prior to receiving his PhD in computational neurobiology from the University of California San Diego, where he worked with Dr. Terrence Sejnowski and Dr. Massimo Scanziani. He then went to Yale for postdoctoral studies with Dr. David McCormick. Frohlich lab research interests are "to understand cortical network dynamics and to become a key contributor to the fields of network neuroscience and brain stimulation. 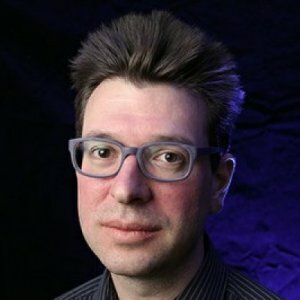 We combine electrophysiology, computational modeling, and engineering principles to investigate how cortical networks generate physiological and pathological activity states and how perturbations can be used to modulate these states. We aim for a rapid translation of our research into the clinical domain for treatment of patients with psychiatric and neurological disorders." Full fellowship for postdoctoral research. 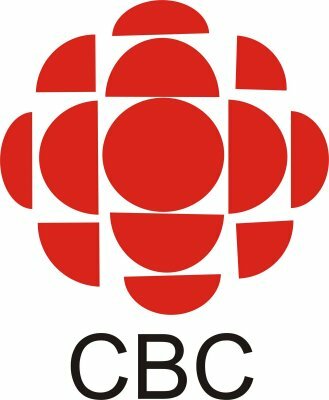 An article featuring Dr. Frohlich's research for CBC. This Device Can Zap Your Brain Into A State Of Zen. Is That A Good Thing? "What if you could zap your brain into a state of calm or energy with only the push of a button? It may sound like the stuff of sci-fi, but it's now the promise of a new class of tech wearables created by teams of Silicon Valley entrepreneurs and neuroscientists." 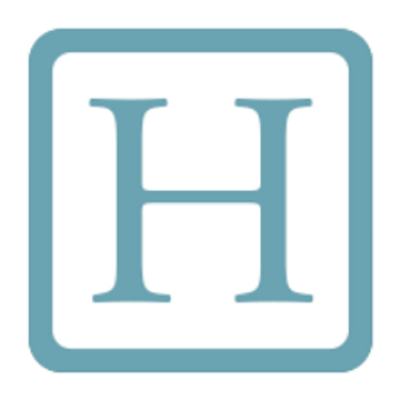 Dr. Frohlich is featured in this article for HuffPost Science. 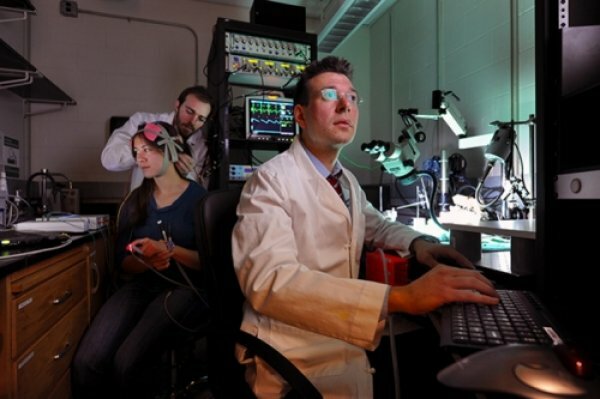 Researchers at The University of North Carolina School of Medicine conducted a study led by Flavio Frohlich, Ph.D. to see how transcranial direct current stimulation (tDCS) affected IQ scores. 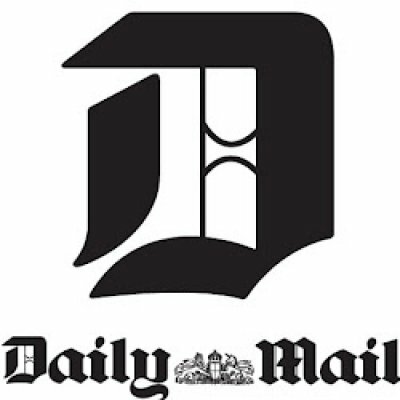 Dr. Frohlich's research is featured in this article for the Daily Mail. During general anesthesia, global brain activity and behavioral state are profoundly altered. Yet, it remains mostly unknown how anesthetics alter sensory processing across cortical layers and modulate functional cortico-cortical connectivity. To address this gap in knowledge of the micro- and mesoscale effects of anesthetics on sensory processing in the cortical microcircuit, we recorded multiunit activity (MUA) and local field potential (LFP) in awake and anesthetized ferrets (Mustela putoris furo) during sensory stimulation. In order to understand how anesthetics alter sensory processing in a primary sensory area and the representation of sensory input in higher-order association areas, we studied the local sensory responses and long-range functional connectivity of primary visual cortex (V1) and prefrontal cortex (PFC). Isoflurane combined with xylazine provided general anesthesia for all anesthetized recordings. We found that anesthetics altered the duration of sensory-evoked responses, disrupted the response dynamics across cortical layers, suppressed both multimodal interactions in V1 and sensory responses in PFC, and reduced functional cortico-cortical connectivity between V1 and PFC. Together, the present findings demonstrate altered sensory responses and impaired functional network connectivity during anesthesia at the level of MUA and LFP across cortical layers. Transients, metastable states (MS) and their temporal recurrences encode fundamental information of biophysiological system dynamics. To understand the system’s temporal dynamics, it is important to detect such events. In neural experimental data, it is challenging to extract these features due to the large trial-to-trial variability. A proposed detection methodology extracts recurrent MS in time series (TS). It comprises a time-frequency embedding of TS and a novel statistical inference analysis for recurrence plots (RP). To this end, we propose to transform TS into their time-frequency representations and compute RPs based on the instantaneous spectral power values in various frequency bands. Additionaly, we introduce a new statistical test that compares trial RPs with corresponding surrogate RPs and obtains statistically significant information within RPs. The combination of methods is validated by applying it on two artificial datasets, commonly used in low-level brain dynamics modelling. In a final study of visually evoked Local Field Potentials, the methodology is able to reveal recurrence structures of neural responses in recordings with a trial-to-trial variability. Focusing on different frequency bands, the delta-band activity is much less recurrent than alpha-band activity in partially anesthetized ferrets. Moreover, alpha-activity is susceptible to pre-stimuli, while delta-activity is much less sensitive to pre-stimuli. Absence seizures are transient episodes of impaired consciousness accompanied by 3–4 Hz spike–wave discharge on electroencephalography (EEG). Human functional magnetic resonance imaging (fMRI) studies have demonstrated widespread cortical decreases in the blood oxygen-level dependent (BOLD) signal that may play an important role in the pathophysiology of these seizures. Animal models could provide an opportunity to investigate the fundamental mechanisms of these changes, however they have so far failed to consistently replicate the cortical fMRI decreases observed in human patients. This may be due to important differences between human seizures and animal models, including a lack of cortical development in rodents or differences in the frequencies of rodent (7–8 Hz) and human (3–4 Hz) spike–wave discharges. To examine the possible contributions of these differences, we developed a ferret model that exhibits 3–4 Hz spike–wave seizures in the presence of a sulcated cortex. Measurements of BOLD fMRI and simultaneous EEG demonstrated cortical fMRI increases during and following spike–wave seizures in ferrets. However unlike human patients, significant fMRI decreases were not observed. The lack of fMRI decreases was consistent across seizures of different durations, discharge frequencies, and anesthetic regimes, and using fMRI analysis models similar to human patients. In contrast, generalized tonic–clonic seizures under the same conditions elicited sustained postictal fMRI decreases, verifying that the lack of fMRI decreases with spike–wave was not due to technical factors. These findings demonstrate that 3–4 Hz spike–wave discharge in a sulcated animal model does not necessarily produce fMRI decreases, leaving the mechanism for this phenomenon open for further investigation.